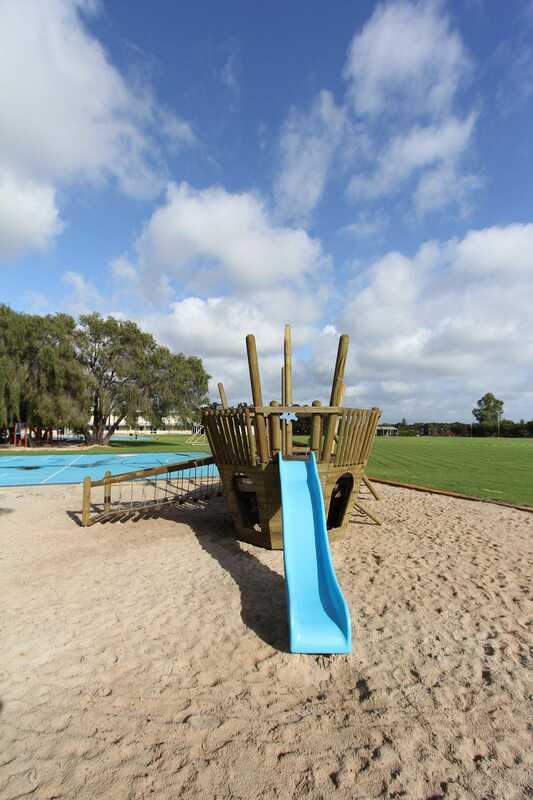 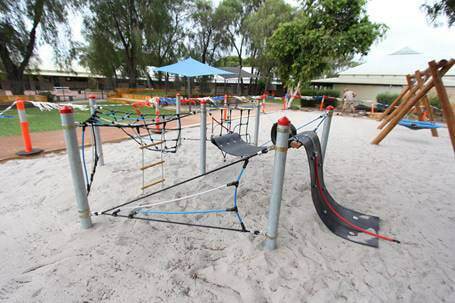 St Mary MacKillop College is an outstanding co-educational school for children from Kindergarten to Year 12 located in Busselton, Western Australia. 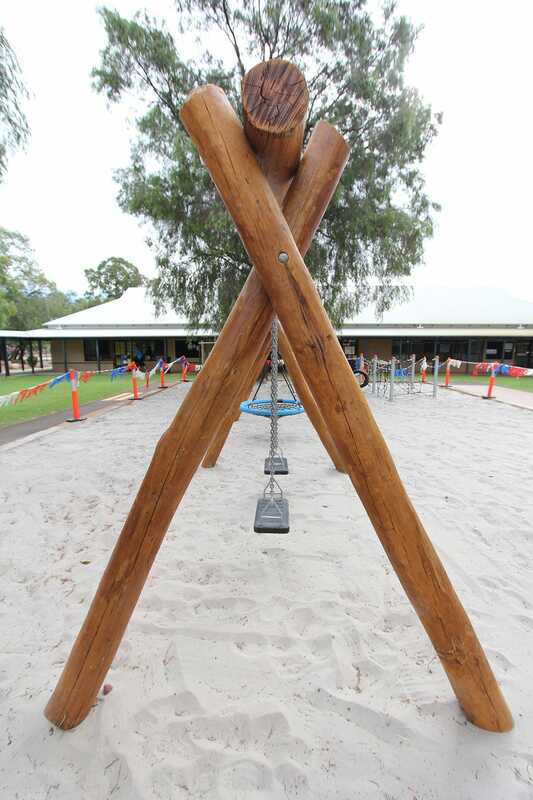 Adjoining Primary and Secondary campuses are nestled in beautiful grounds in a natural bush setting, and the College is proud to boast modern facilities designed to engage students and bring learning to life. 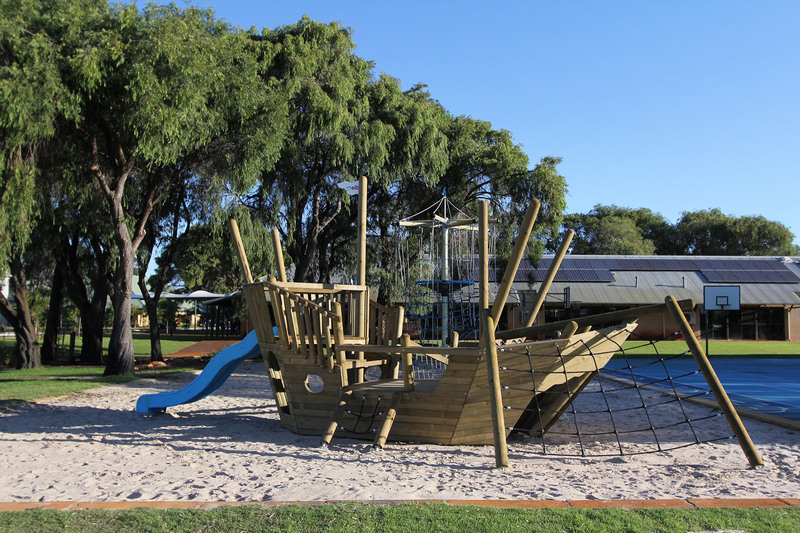 When it came to planning a new playground, there were many considerations with several standout priorities: multi-age options, variety, opportunities for real physical and cognitive development, accessible pieces, and a natural style. 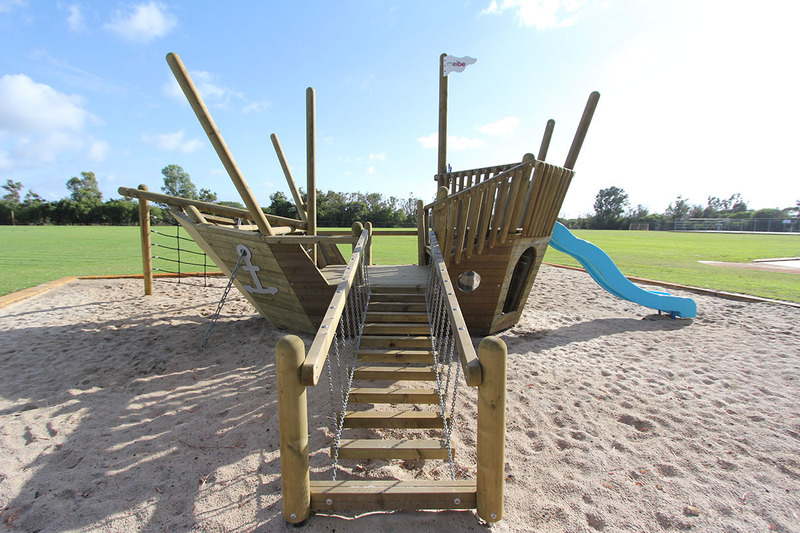 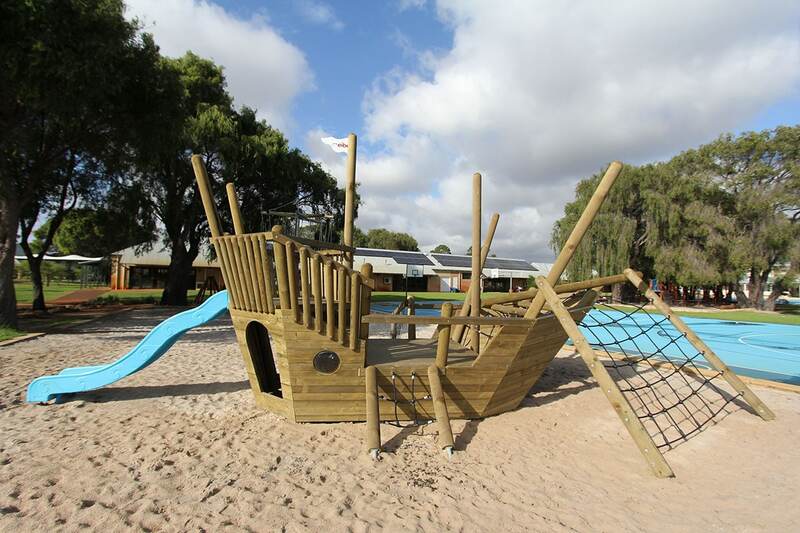 From playing a pirate to riding a flying saucer, the playground is bursting with irresistible choice, fun and adventure. 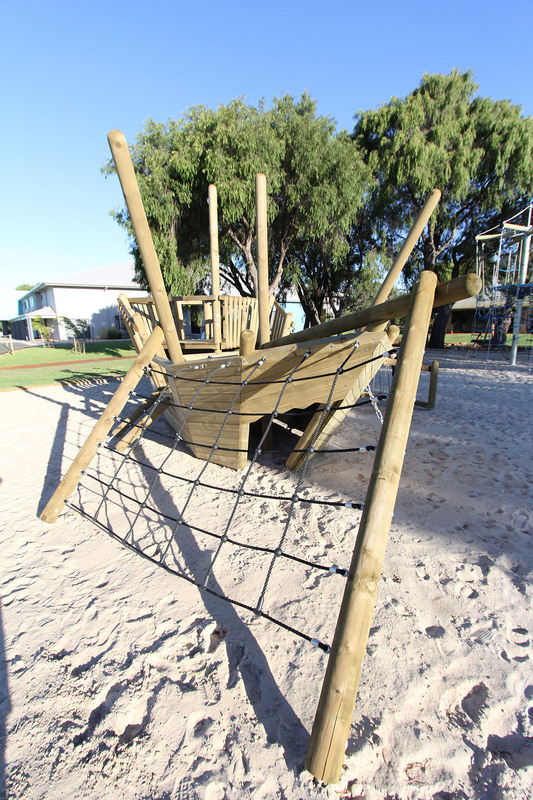 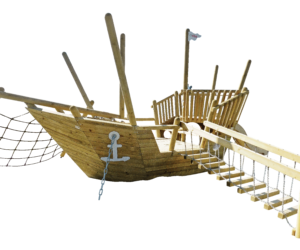 The Play Ship Pinta fires the imagination, with interactive and creative play that keeps children occupied for hours. 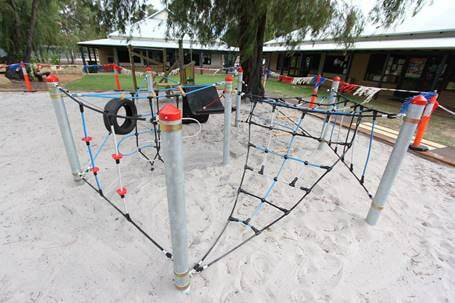 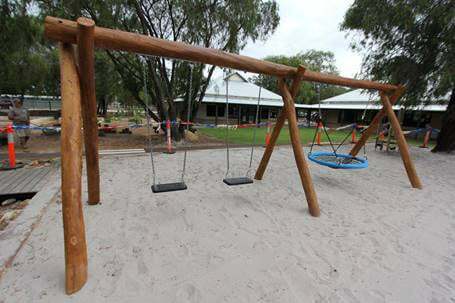 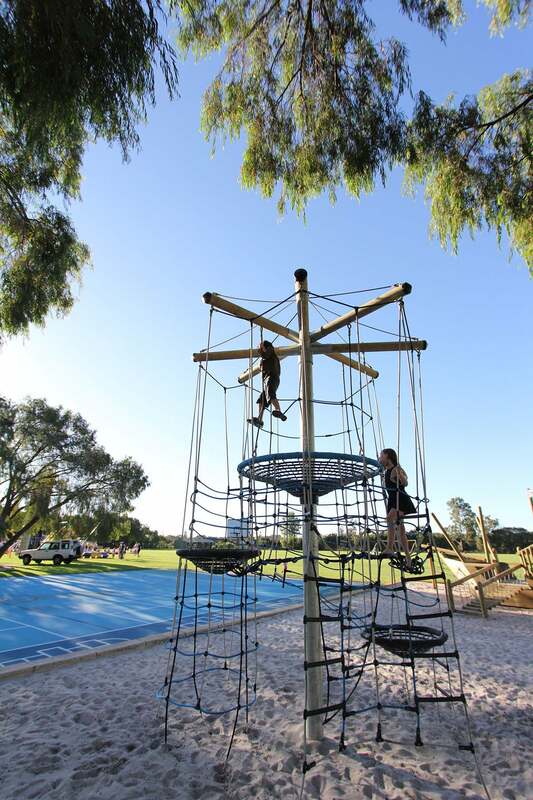 The clever design is made from timber and includes a climbing net, wobbly bridge and slide. 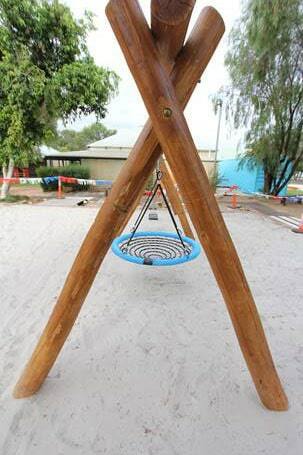 For a swing set with a difference, two seated swings and a flying saucer basket are all housed in rustic timber framing, offering all-ages inclusive fun. 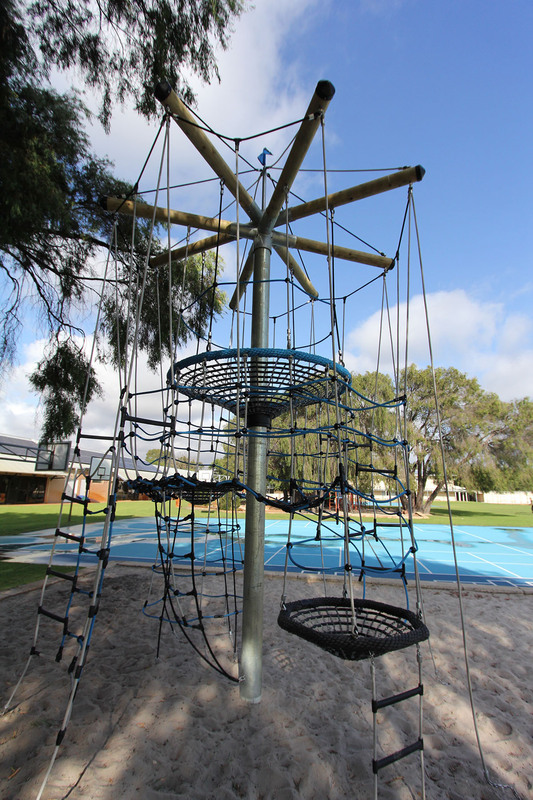 To get closer to the clouds, a “birds nest tree” incorporates suspended baskets, ladders, chimneys and climbing ropes. 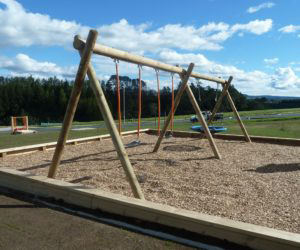 And climbing fun for the littlies is covered too, with a Witches Hiding Place rope course to develop strength, balance and confidence.